Whoops, I was so busy that I didn’t get around to posting the last couple of days. Here’s my attempt at catching up to speed. As always, #RPGaDay 2016 is organized by the RPGBrigade. Day 12: What game is your group most likely to play next? Why? Lots of groups experiment with different games. Which game will you probably try next? I’m excited for our Gamecation on the first weekend of October, a RL meetup of my Roll20 group. We’ve rented a house in Sherwood Forest, and will be there from Friday to Monday to play crazy amounts of boardgames and RPGs. We actually made an Excel list of what games to bring, hah. We’ll be doing a face-to-face session of our Legacy of Fire campaign. One of the players, (who I also hope will start blogging here soon) wants to try her hand at GMing with running one of the We be Goblins adventures. 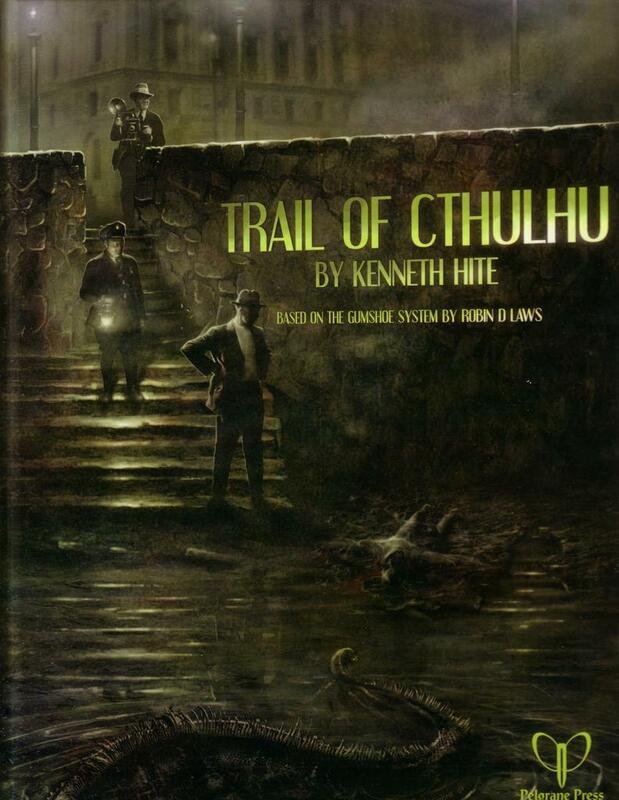 I am going to run a one-shot of Trail of Cthulhu. Originally I had wanted to run The Strange, but I am not 100% sold on the system yet, and ToC looks so cool and comes highly praised. When I announced that I would like to try this system, there was excited squeeing. I am counting this as a good sign. We also talked about running one-shots every other month instead of our regular game. I’m a bit addicted to reading various systems, and on my to-play list I have The Strange, The One Ring, Star Wars: Edge of Empire, DnD 5e, 13th Age and The Night Black Agents. I hope that one of the players will occasionally be challenged to run a one-shot, because dang, it would be fun to play now and then. What things do you need to keep a game enjoyable and ‘good’ for the long term? For a successful campaign, I need to have the spark of a great story. For me, a campaign is longform storytelling, opposed to just doing random adventures. I need a string connecting everything and leaving players wondering about where the story goes. As such, the story needs to have a finale, an ending. For me, a campaign is finite. Now, assuming you have this story, you need players who are open to it, who are excited for it. If the players don’t actually care about the story, the campaign is not successful. Players need to be engaged, committed to the story. The point here, as in all gaming is: have fun! If it’s not fun, then it needs to be addressed so that GM and players both try something else, or make it more fun. Day 14: Who would be on your dream team of people you used to game with? Of all the people you have gamed with in the past, who would you like to bring together to play for a specific game in a specific way? Are gaming all-stars teams a thing? Huh. Of the games I was GM for, I would play with any of those players again. There’s not such a thing as a dream group for me. The groups are all vastly different, but they’re all fun. I do wish I could play with my friends from my hometown. When we played D&D 3e together, I ran a Mystara campaign for them, culminating in their discovery of the Hollow World. Unfortunately, that was our last session ever. It would have been fun to adventure on in there, with them.